One In A Million: IMAGES AND WORDS ` 202 ` Landscapes In Colour. IMAGES AND WORDS ` 202 ` Landscapes In Colour. Fields of Gold, indeed. Beautiful photo and wonderful quote. I like the pastel like colors in this shot, so soft and beautiful. 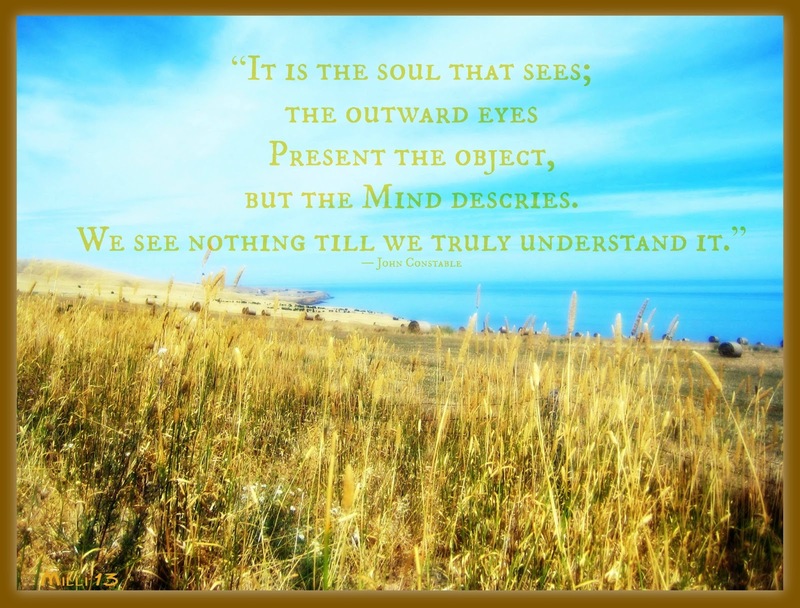 Yes, the world is what we perceive it to be. the photo 'glows' in color....how PRETTY!! I love the warmth your photo portrays Milli. Such a true quote to go with it too. Awesome!